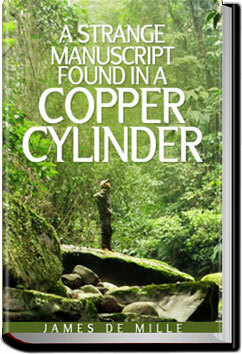 A Strange Manuscript Found in a Copper Cylinder is the most popular of James De Mille’s works. This satirical romance is the story of Adam More, a British sailor. Shipwrecked in Antarctica, he stumbles upon a tropical lost world of prehistoric animals, plants, and a cult of death-worshiping primitives. He also finds a highly developed human society which has reversed the values of Victorian society. Wealth is scorned and poverty revered; death and darkness are preferable to life and light. Rather than accumulating wealth, the natives seek to divest themselves of it as quickly as possible. At the beginning of each year, the government imposes wealth (the burden of “reverse taxation”) upon its unfortunate subjects as a form of punishment. A secondary plot about the four yachtsmen who find the manuscript forms a frame for the central narrative. Lucy and Ayala Dormer are left penniless by the death of their parents. Ayala is taken in by their rich aunt Lady Tringle and Lucy by their poor uncle Mr Dosett. The girls find it hard to get used to their new surroundings. Lucy becomes engaged to one of her father’s artist friends but they are too poor to marry. 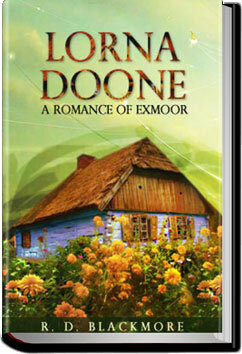 Three different men fall in love with Ayala but none live up to her ideal of the perfect man. 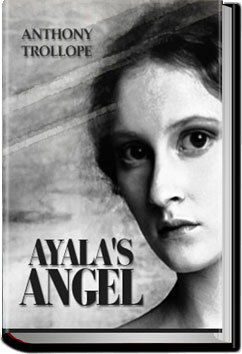 Will Lucy be able to marry her sweetheart and will Ayala find her ‘Angel of Light’?